Last night we travelled up north to Clitheroe for a wedding at the amazing Eaves Hall. Surrounded by 13 acres of beautiful gardens and parkland, and set amidst the spectacular Ribble Valley countryside, Eaves Hall has a picture perfect setting for a wedding. 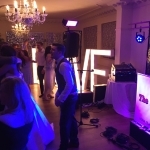 Leanne & Jason had booked our Ultimate Package, this consists of an afternoon Acoustic Set, 2 x Live sets of music in the evening and full disco service throughout the night. The couple chose to have our acoustic set performed in the entrance of the hall at 6pm as their guests left the main room following their meal. We performed an eclectic range of songs to appeal to all the ages of the wedding guests. From classics such as Sitting on the dock of the bay, Layla, Hallelujah, to more modern classics such as Ed Sheeran’s Thinking out loud and John Legend’s All of me. Following the acoustic set we moved to the main room where we began the evening’s disco. 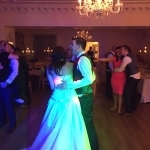 We always allow our clients to submit any disco requests they would like prior to their wedding day. Leanne and Jason had provided us with a great list of song choices and they’re guests were up dancing immediately. 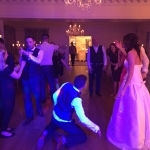 We always offer to learn and perform any song of the bride and groom’s choice for their first dance, however, on this occasion we were asked to learn a special song for the couple to be played later on during the night. 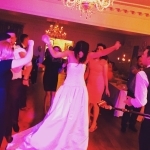 The first dance, a song by Pete Doherty called For Lovers was a great choice by the bride and groom. 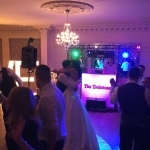 After the first dance we got straight into our 1st set, it’s always great to see the family and friends join the bride and groom on the dance floor and remain there for the first set and this crowd certainly didn’t disappoint. We opened our 2nd set with the special request from Leanne and Jason to perform their chosen track. A great song by The Beautiful South, A Song for Whoever. 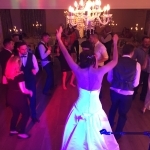 We really enjoyed performing this and again the dancefloor was full with the bride and grooms family and friends as they took the opportunity to dance to a slow number before we kicked off the upbeat music. As always, we really enjoyed performing the 2nd set. 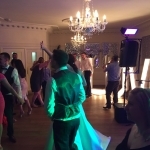 A Combination of Motown classics such as Higher and Higher & Proud Mary along with with funky hits such as Play that Funky Music and Uptown Funk are just impossible not to dance to and this crowd certainly didn’t let us down. Once again a big congratulations to Leanne and Jason!